Whisperer helps you understand what a speaker is saying in a language you do not speak. Whisperer puts you at the center of the scene, not the scene itself: Whisperer helps you understand what’s going on around you in a discreet way without making you feel dumb. Just install Whisperer and you can start reading the translation of the audio you are listening to. If you wear your earphones, you can also listen to the audio translation too. You can put your phone away and continue to discreetly understand what people are saying. 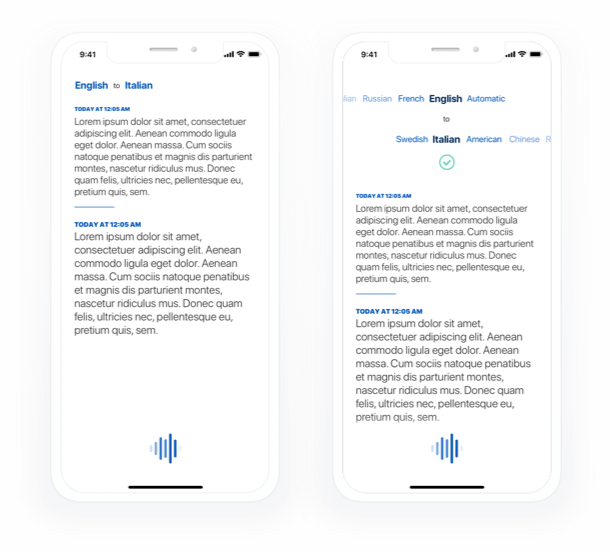 Different from all the other voice translators, we wanted to create an app that is not the center of attention in a conversation. Multilingual Whisperer lets you understand what is happening around you and does not claim to approximately translate what you say. Don't let yourself get caught at your next trips and events: download Whisperer right now!